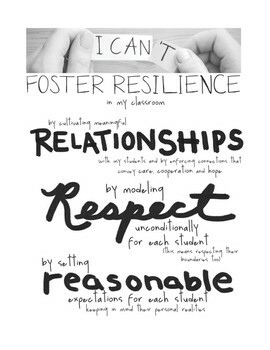 Teaching resilience to fellow faculty and fostering it in your own classroom is challenging but necessary in ever-changing school environments. Why not make it easier by using this convenient "cheat sheet" outlining the 3 R's of fostering resilience? I hope you'll use this to give to classroom teachers or use it for yourself to support your instruction in your own room.